In Ontario, the projected operating deficit for 2015/16 is $7.5 billion but the change in net financial position is $13.7 billion—a difference of 83 per cent. 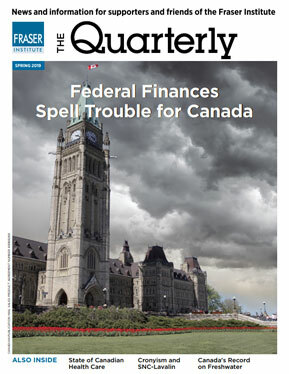 With no new initiatives expected, the 2010 federal budget that will be introduced Thursday by Finance Minister Jim Flaherty is quite likely the least anticipated in recent memory. This is due in large part to last year's irresponsible budget, which saddled Canadians with an expected $56-billion deficit this year and further deficits amounting to $109-billion over the next five years.